This prestigious Tuscan winery for sale has been family owned and operated for decades. 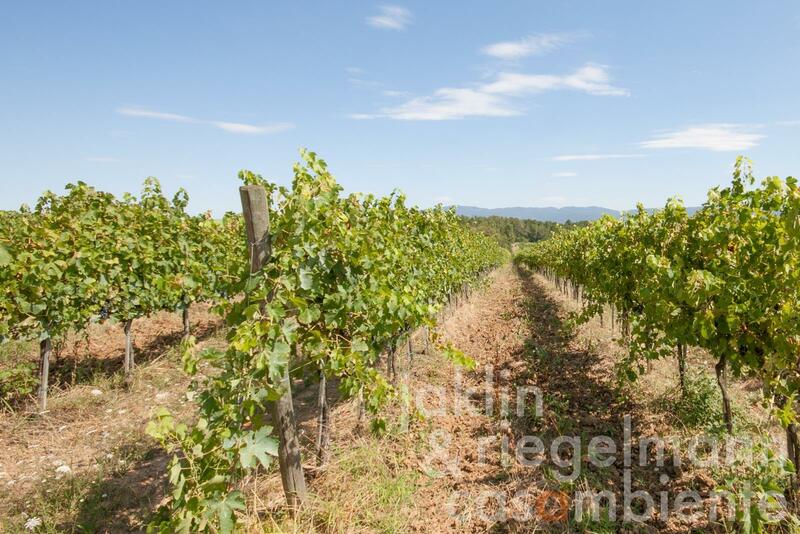 The property comprises a few buildings and about 36 hectares of land, of which about 30 hectares are vineyards. The winery is one of the well-known producers of Vino Nobile di Montepulciano DOCG. The main grape variety grown is Sangiovese. The average age of the vines is approx. 10 years. The vineyards have been constantly renewed over the past 15 years, replacing/replanting approx. 2 hectares per year. The last 2 hectares were replanted in 2014. Annual production amounts to approx. 140,000 litres. The winery’s capacity amounts to 300,000 litres. The successful marketing and distribution of the wines covers the domestic market in Italy as well as European and worldwide sales channels. Additional information and photos are available on request and will only be disclosed after a confidentiality agreement has been signed. Italy, region Tuscany, province Siena, municipality Montepulciano. 36.53 ha with about 30 hectares of vineyards. Electricity, own well water, central heating, fireplace, gas tank, telephone, broadband internet access, satellite-TV, automatic gate, private parking, vineyard, garden.